“BNP Chairperson Khaleda Zia has been imprisoned after being convicted in corruption cases and the matters were finally decided by the appellate division of the Supreme Court and hence, the Government has nothing to do for releasing her”, said Abdul Matin Khasru. “No question arises as to the acceptability of this judicial process through which Khaleda Zia has been convicted,” Khasru added. Abdul Matin Khasru made these remarks while speaking to Daily Our Time regarding Obaidul Quader’s (Road Transport and Bridges minister) comment terming Khaleda Zia’s release from jail ‘legal matter’. Road Transport and Bridges minister has said the government has no influence over the issue. Quader said that BNP Chairperson Khaleda Zia has been imprisoned after being convicted in a corruption case. There is no relation between her imprisonment and politics. There is no such pressure from the mass people for releasing Khaleda Zia, he said adding that BNP has failed to create pressure to free her. Terming BNP a failed party, Quader said there is no reason to blame the government for this. 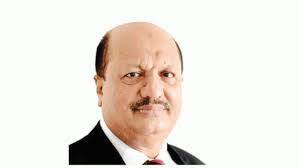 Abdul Matin Khasru is a lawyer and Bangladesh Awami League politician.